Viknesh Vijayenthiran March 5, 2019 Comment Now! The plan is transform the brand into a tech-focused alternative to the likes of Bentley and Rolls-Royce, with electric powertrains, connectivity and self-driving capability to be the hallmarks of ultra-luxury instead of the somewhat staid concepts of wood, leather hides and burly engines. 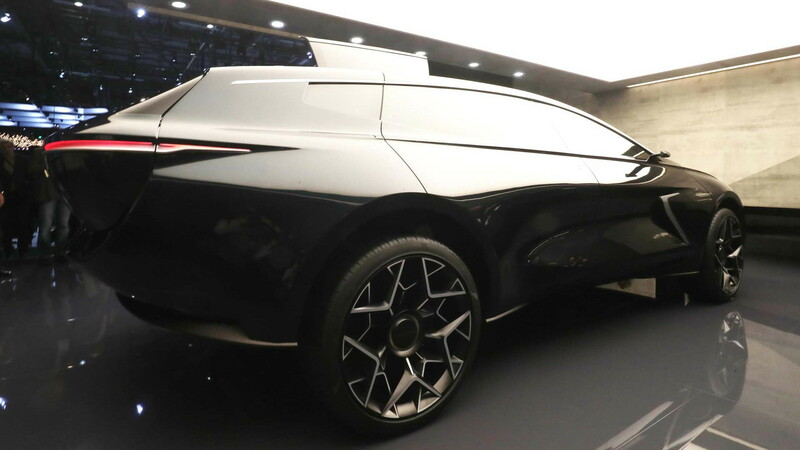 The first model out will be an SUV that Aston Martin will put into production at its new plant in St Athan, Wales, early next decade. But before then, Aston Martin is providing a more tangible taste with the Lagonda All-Terrain Concept unveiled Tuesday at the 2019 Geneva International Motor Show. 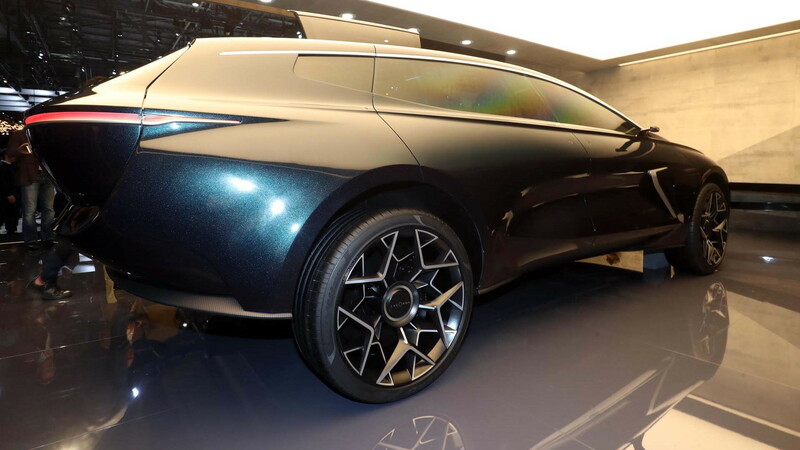 The All-Terrain Concept shares the bold look of the Lagonda Vision Concept that Aston Martin showed at 2018's Geneva auto show. 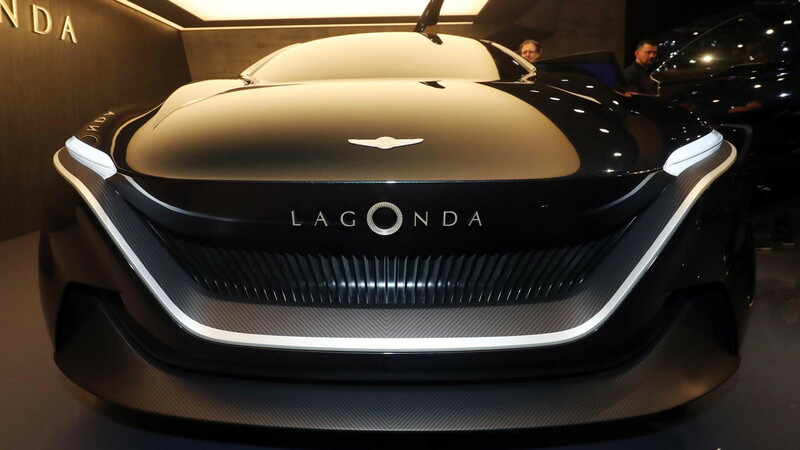 One of the goals of the design team is to ensure that Lagonda vehicles look like no other on the market, not only to stand out from the crowd but also to reflect the technology they're packing. A rakish shape, inspired by super yachts, is made possible by the vehicle's electric powertrain, whose battery is located in the floor and doubles as a structural member. The extra stiffness coming from the floor means the designers were able to incorporate the same opening roof and suicide-style rear door design we first saw on the Vision Concept. Such a design makes it much easier to get in and out of the rear seats. At the rear is a wide clamshell hatch, accented by a thin light strip without any visible source of light. The source, in this case LEDs, are hidden inside the hatch, with their light beamed downward and then reflected out. 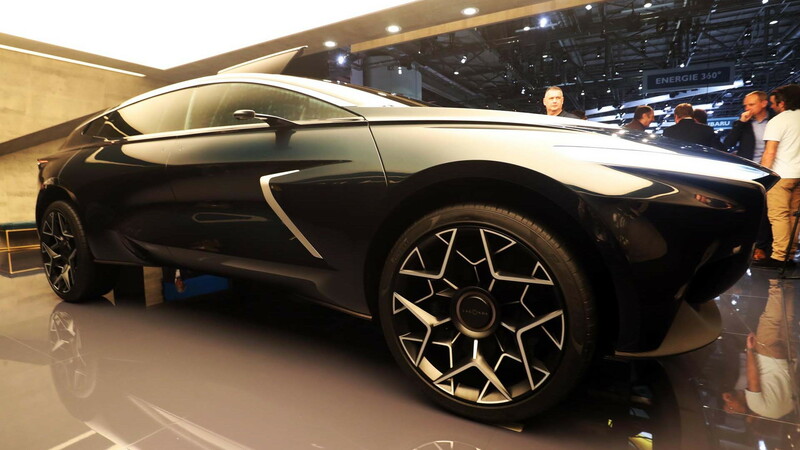 "It will be like no other SUV to drive, so its looks have to reflect that new reality and to serve as pathfinder to a future in which the most desirable and prestigious automobiles still have a place,” Aston Martin design boss Marek Reichman said of the design in 2018. A minimalist theme envelopes the cabin, and thanks to fully self-driving capability the front seats have been designed to rotate 180 degrees to face the rear passengers when the car is in autonomous mode. An interesting feature is the center console, where the vehicle's key floats about a small platform via electromagnets. 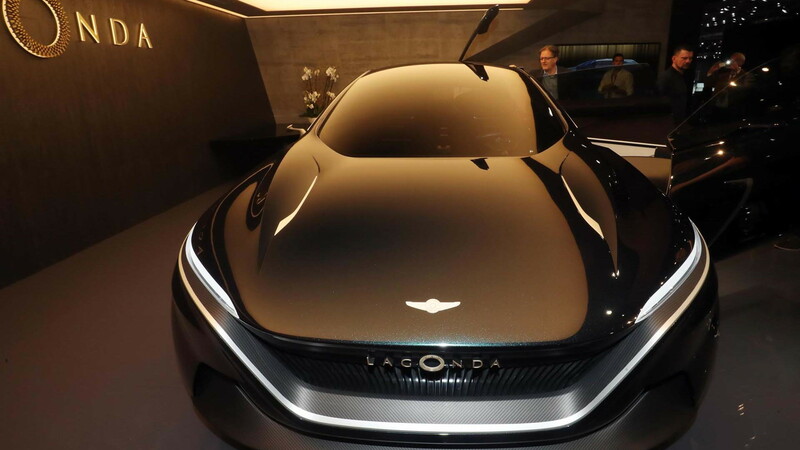 Aston Martin is committed to launching at least two Lagonda models as part of its much-hyped Second Century plan. The first will be the SUV, due around 2022. The second will be a sedan pegged for a 2023 arrival. A coupe is also possible but not yet in the product pipeline.